But I began to miss Athens. 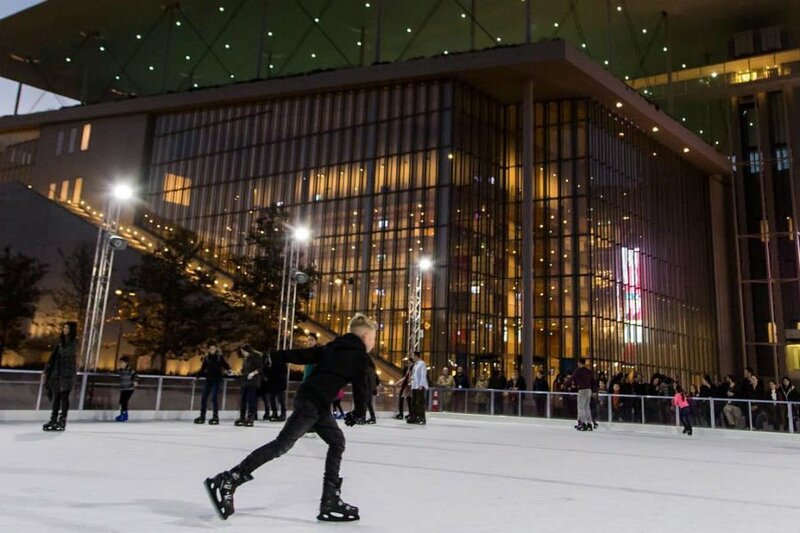 After all the time the city and I had spent together, it felt wrong that she now had major landmarks — like the Stavros Niarchos Foundation Cultural Center, a hilltop park with the landmark Renzo-Piano-designed national library and opera — that I’d never seen. My children, now seven and three-and-a-half, were no longer hell-bent on running in traffic, climbing balcony ledges, or otherwise trying to find the most creative way to risk death in every new environment. Moreover, they were actually interested in seeing the old sites. Like most of her classmates, my daughter Amalia discovered Greek mythology (thank you, George O’Connor). And like most younger siblings, my son Nico wants to do everything his sister does. Knowing that my daughter’s enthusiasms can be fleeting (I miss you, Doc McStuffins), I took it as a sign that this year was the year to bring my kids to the cradle of civilization. It was a high-risk, high-reward proposition. 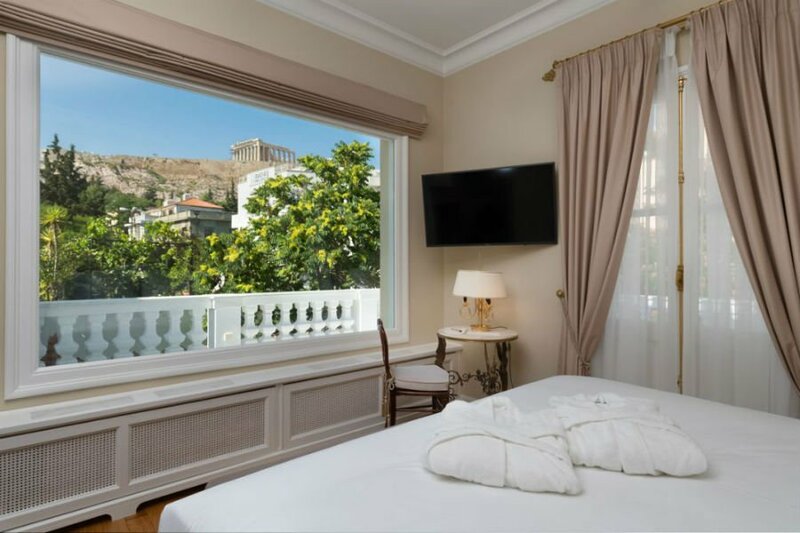 When we pulled up to Noble Suites, our hotel in a converted neoclassical mansion, just behind the pedestrian walkway at the foothills to the Acropolis, a gaunt old man standing on the corner started chatting with me and the kids as my husband, Emilio, unloaded the bags. I made patient and borderline polite conversation when he noticed our luggage, and said, “Hold on! Let me get my son.” He ran into the corner store (which, it turns out, he owns), and sent out a burly young man who carried our bags to the entrance and refused a tip. That never happened to me when I was single. Though our visit to the Acropolis a great success, my son did have a full-on tantrum one hot day on the ancient step. Naturally, I posted a photo of him lying on his back to Instagram, and a friend commented that his husband “did the exact same thing in the exact same spot.” The point is: Hiking ancient monuments in the heat can be exhausting at any age. So it’s important to reserve time for relaxing. Swim in a pool (my favorites are on the roof and in the basement of the Grande Bretagne hotel, although they’re only available to guests — and, in our case, freeloading friends who dropped by to say hello).The swings in the National Garden and the high-design playgrounds of the Stavros Niarchos Cultural Center are also a good bet for kids. The Beat app saved our vacation. It’s like Uber for actual metered cabs, and you can pay through the app or with cash, request English speaking drivers, and specific pick-up locations. On my own, I’m all about the subways and strolling, stopping for cappuccino freddos here and there. With two kids and one stroller, it was all Beat all the time, especially since hailing a cab in Athens can be a challenge given the erratic traffic patterns. 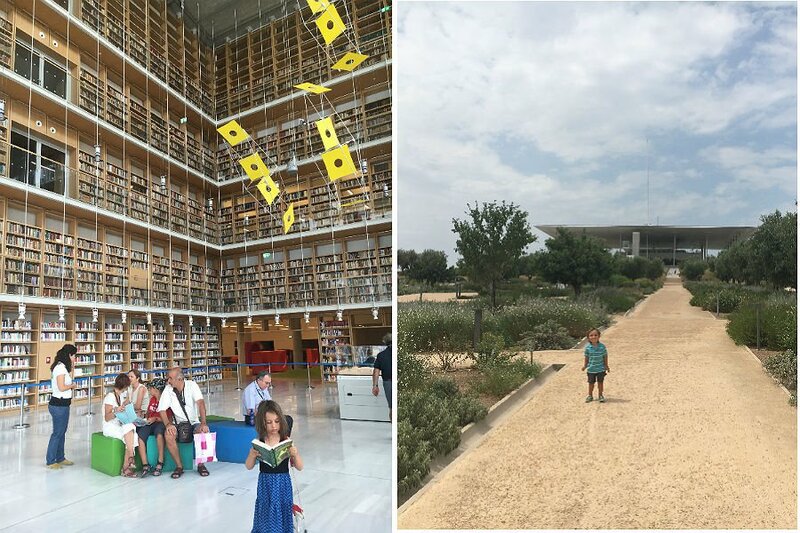 My kids LOVED the Acropolis Museum for the air conditioning and the Family Backpack program — wherein kids can request a backpack filled with maps and stickers, games and scavenger hunts for Athena’s image throughout the museum. The museum is a thrill for adults as well. 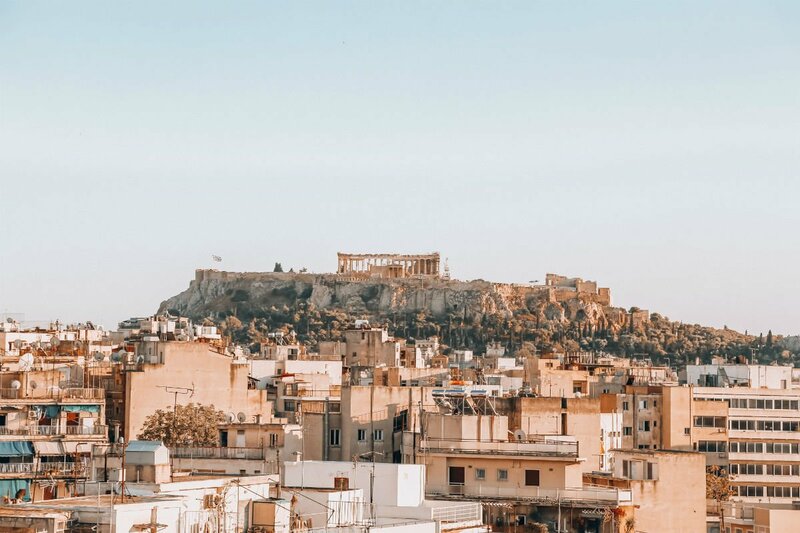 Designed by Bernard Tschumi, it offers amazing views of the Parthenon, mimics the experience of an ancient pilgrim visiting the Acropolis, and includes a glass floor outside revealing the ancient Christian city discovered during excavations, and a restaurant with stellar views. 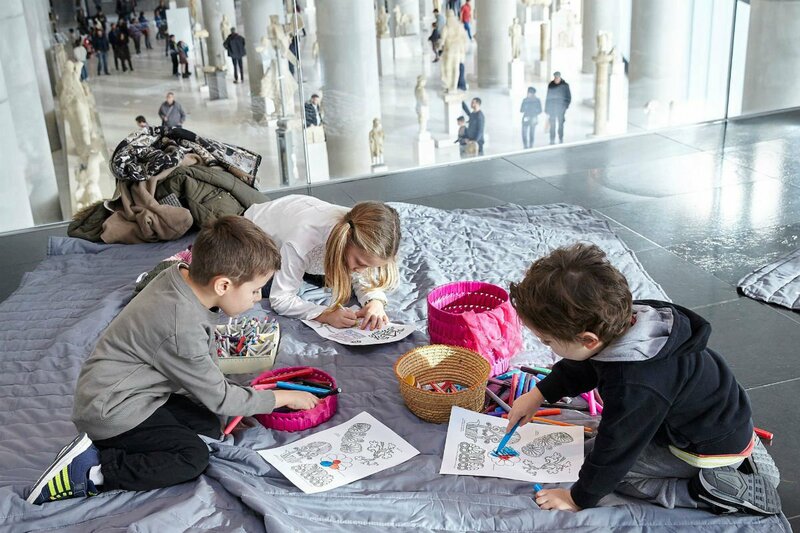 Admission is 5 euros, 3 for children aged 5-18, free for children under. I talk a good game about not forcing children into your pre-planned itinerary. But it’s wisdom I learned the hard way. When I met a friend at her favorite restaurant, Papadakis, the staff seemed to find my rambunctious three-year-old adorable, but I was annoyed at having to continually step away from my spicy orzo with langoustines to chase him around. A drink with another friend at Nice N’Easy in Kolonaki turned a little too exciting when Nico kept swiping the cell phone of the hipster on a date behind us off the table — although he straightened right up with the kontosouvli chicken and potatoes came out. Lesson learned. Next time, I’ll get a sitter for nice indoor restaurants and otherwise eat and drink outdoors (there are tons of cafes and tavernas along the pedestrian walkway in Monastiraki and Thiseion,). 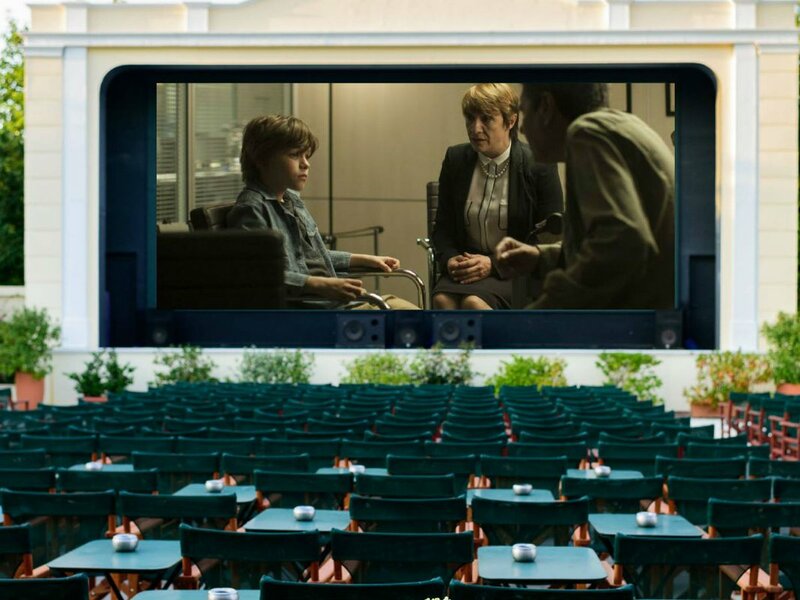 A quintessential Athens experience that is just as good (or better)with kids is the therino cinema, outdoor movie theaters that pop up every summer. I used to hit up art films at Cine Thisseion or Cine Dexamini, but this year I took the kids to the beautiful Aegli cinema, in the middle of the National Gardens, which opened in 1903, and plays Hollywood blockbusters (in English with Greek subtitles) all summer. As Mamma Mia II lit up the screen, Nico fell asleep in the stroller, Amalia sang along, and I took in the smell of jasmine, my icy white wine, and the joy of being in one of my favorite places with my favorite people. The next morning, when he woke up, Nico said, “Mami, I don’t want to leave Athens.” I didn’t either. A freelance journalist and mother of two based in New York City, Eleni is the author of the book Lucky in Love: Traditions, Customs, and Rituals to Personalize Your Wedding. She travels for the folklore.